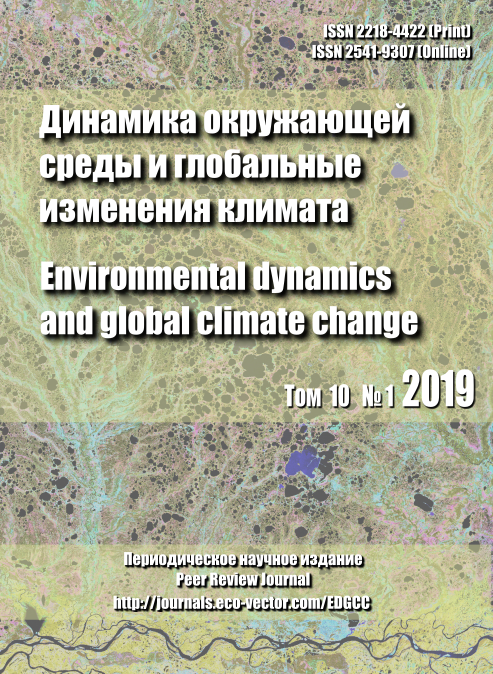 The journal “Environmental Dynamics and Global Climate Change” of Yugra State University (Khanty-Mansiysk) has been published since 2008. It’s issued biannually. The two-year impact-factor of the Russian Science Citation Index is 0,765 in 2017. The journal is aiming at informing the interested audience about the scientific and pedagogical work in frames of the topics of environmental dynamics and global climate change. The journal reflects experimental work conducted within regional, federal and international projects (grants) and initiatives not yet supported by grants. Moreover, since it is difficult to find good reviews in Russian in many branches of global ecology, the pages of the journal are provided to the reviews and lectures of the leading scientists. The manuscripts in both Russian and English can be submitted. The journal accepts for publication methodological, theoretical and experimental works, as well as reviews, presented in any form convenient for the author, including the lectures in the field of environmental dynamics and global climate change. The journal supports double "blind" peer review, i.e., the reviews are of two reviewers who work only with the manuscript, without knowing who the authors of the article and in which organization the work was done.